It’s been a tough couple of weeks. Everyone is a bit on edge. We’ve had bombings and manhunts and Elvis impersonators mailing poison to the president. Which is why I think one little hostage crisis in Long Branch touched such a nerve. I’m not going to say this is a quiet part of town. 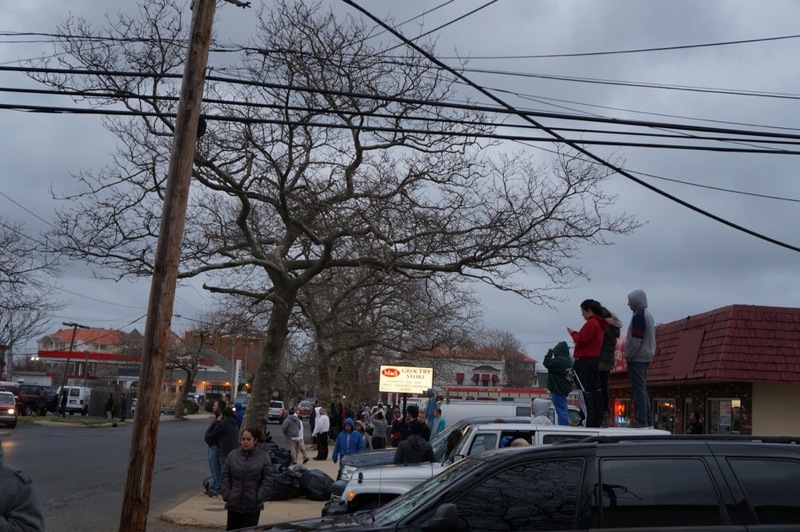 The West End is probably one of the more diverse neighborhoods on the Jersey shore. We’ve got old money, college kids, crust punks, Brazilians, Wall Street types, Hasids, and a handful of old drunks. Needless to say, we’ve seen our share of excitement. But there was something different about today, when a man was accused of stabbing his father and then holing up in the area around one of my favorite neighborhood haunts, the Brighton Bar. The scene outside this stand off was half tailgating, half watching-the-space-shuttle-launch. The unnamed suspect immediately became a sort of boogey-man. I heard that he had a pipe bomb. That he had a machete. That he had a room full of hostages. College kids started chants. One kid watched the whole thing smoking a blunt, not 100 feet from a damn swat team. He knew they weren’t worried about him. We’re told that it ended fairly peaceably. No one died. It doesn’t sound like he had a bomb, and he may not even have actually stabbed anyone. But for a second it seemed like Watertown. After a week of national panic, high alert becomes the new normal. Every previously unthinkable scenario suddenly seems perfectly plausible. America today becomes a world where anything could be explosive. Greg Schwartz can be a hard guy to love. Catch him on a bad night and you’ve got your own personal heckler for the evening. But catch him on a good night and you’ll find him to be affable and generous. EIther way, he is always on another planet. So it warms my heart to see one of our local characters hit the big time. If you’re not local, I recommend watching the video. It’s labeled as a poetry performance, but in all honestly that’s pretty much just how he talks.